Everyone in the UK has an electric kettle. I’m thirsty for good music. Solid joy. Eager to deepen my knowledge of classical music. I’ve listened to several classical “channels” on Windows Media Player. But. One ends up hearing the same repertoire over and over. As if Pachelbel didn’t compose anything but the Canon in D.
(New fact: VW’s first name, Ralph, is pronounced Rafe. This music will gnaw into the edges of your soul, then come back with salve. We sing Psalm 22 to this tune. The best way to spend 11 minutes and 99 cents. I beg you–at least–listen to the preview. On The List of my Funeral Music. ~ Boxes (and boxes!) 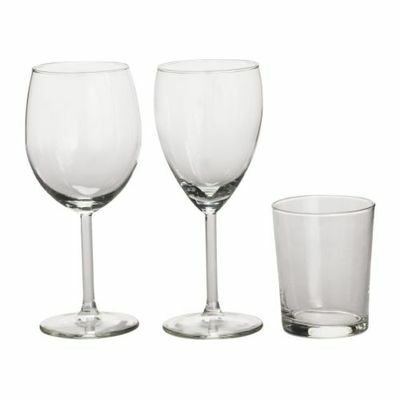 of these Ikea glass sets for our church’s Wedding Closet. The CA bride and groom didn’t want these after their reception. My middle name is Scavenger. These puppies rode with me in the back seat on the way home. This entry was posted in Uncategorized and tagged music, simplepleasures by alivingpencil. Bookmark the permalink. I don’t know why I keep resisting getting an electric kettle, but I do. One cup at a time in the microwave….I just bought a pureheart watermelon at Trader Joe’s and hope it’s still good this late!And you go, girl, on the scavenging! I just gave 3 boxes of stuff to my daughters last night and 3 boxes to my neighbors the day before. I have a lilac candle I wish I could magically fly to you somehow…. I have realized that Lois Reitzes of my local NPR station does show her preferences, but I’m actually so unskilled in this area that she has yet to bore me.Frankly, I need to change my Monday blog entry topic from manners (or marriage) to music; and take a more ordered approach to my listening. You know, a composer at a time.Any suggestions for a primer? I love RVW’s stuff! It’s great to listen to but have you ever played any of his work? Wow! Lots of work but very gratifying when it all comes together and actually sounds right. 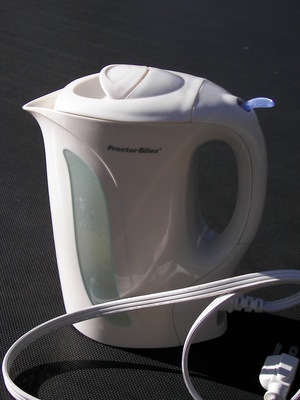 The first thing I bought after returning from the UK the first time was an electric kettle! I don’t know how I lives without one! When we’ve had Writer’s Teas in class, (when I happen to be teaching Composition), we use it. The students are amazed by it, it’s so much more fun than the hot shot pot! I do remember being disappointed that it had a regular American plug in! Part of the charm (in MHO) in the UK was the interesting plug! Carol, I like Vaughn Williams music too but am not familiar with that one. Obviously I shall have to check it out. I’m realizing that I have missed some of your recent entries – have been so pushed for time in the mornings when the digest comes in that I couldn’t read them then, and later forgot. I am going to read them right now. I always enjoy what you have to say. Oh, thank you for posting about the electric kettle! I knew there had to be a way I could make my morning tea in my bedroom but had no idea how to go about finding it. I always boil the water on the stove and I really hate going into the kitchen in my nightgown — sets a bad example for the children and believe me they’re eager to follow it. 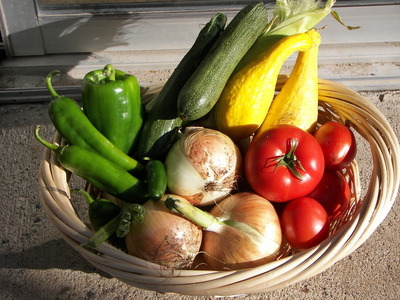 @BadgerMum – Yeppers, these were in every bed and breakfast we stayed in. They really heat up fast. That’s part of the attraction! I used it ALOT during canning too.Happy Morning Tea in the Bedroom!